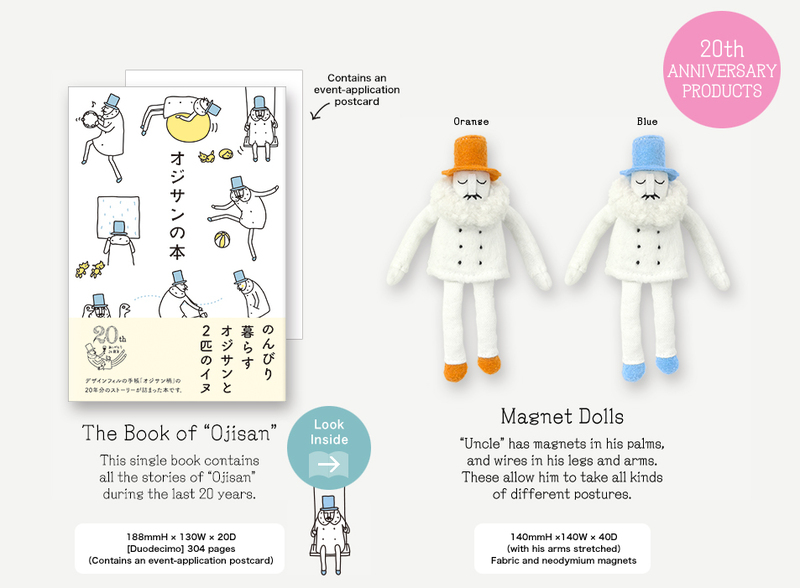 Ojisan” debuted in Midori’s 1995 Pocket Diary. Back then, lovely animals were the mainstream of product characters. 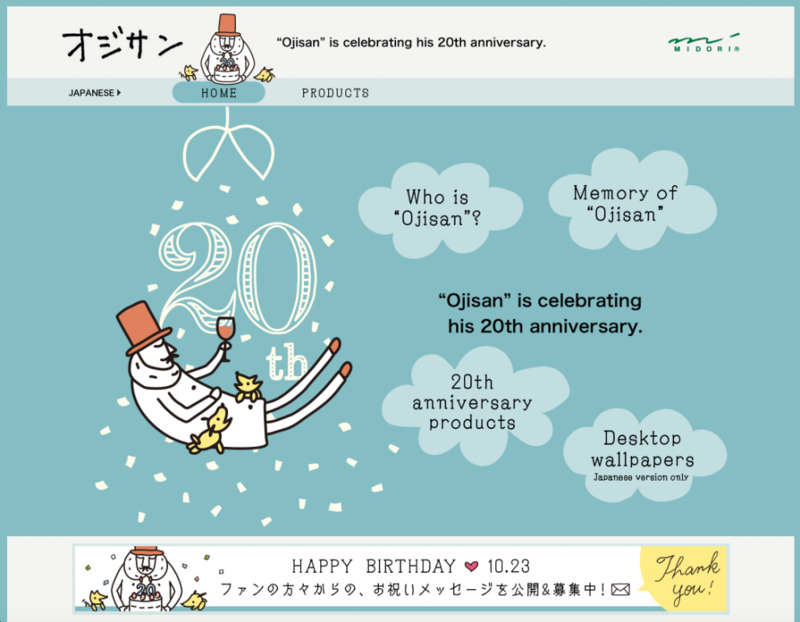 The “apathetic” human character named “Ojisan” appeared out of the blue, against the trend. His one-of-a-kind look and lovable behavior have won him countless fans.